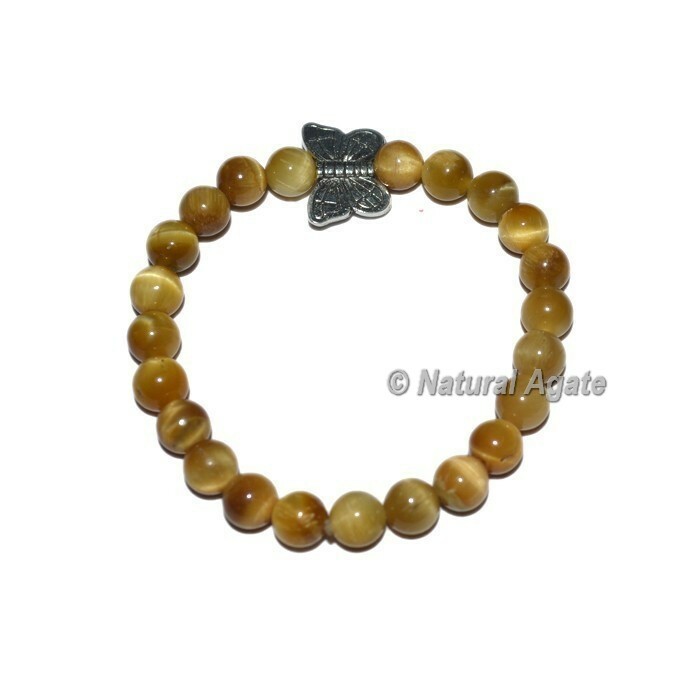 Astounding tiger eye Bracelets delivered utilizing extremely cleaned gemstone globules joined with butterfly captivate. The degree of the wristband is 7 inch and weighs around 20 - 35 grams. For any remarkable demand or for changing the arrangement of the arm jewelry connect with us particularly.